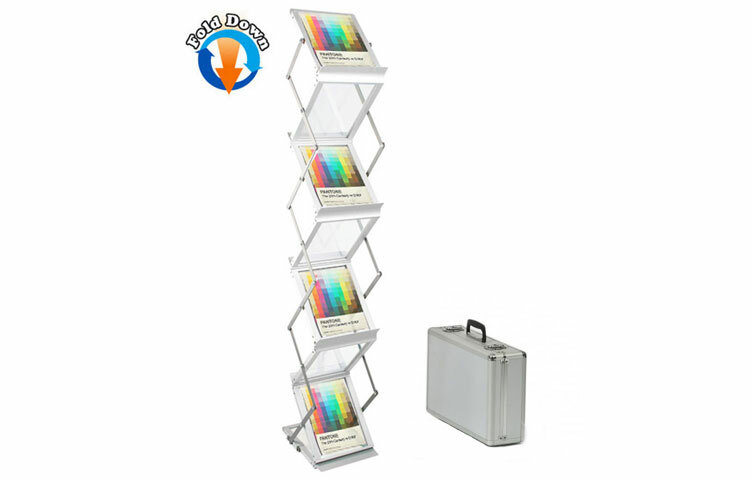 Exhibition bundle kit C is a unique multi-media display package allowing you to incorporate a TV screen (32 to 50") into the main back wall of the 3x3 popup stand. 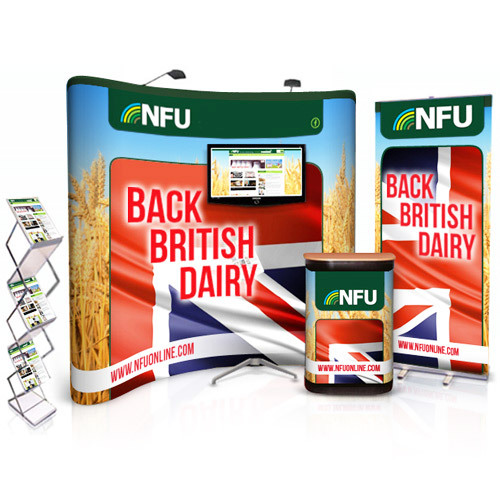 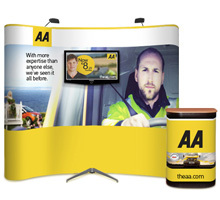 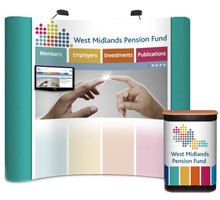 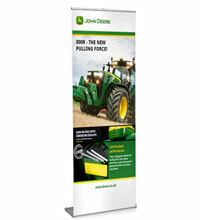 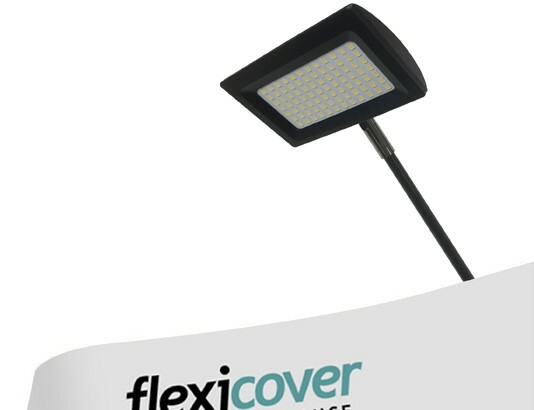 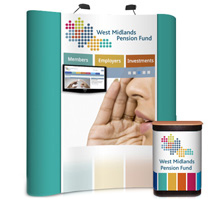 This cost effective bundle is exhibition ready and includes a 3x3 popup bundle, TV stand, pullup banner stand and folding A4 leaflet stand. 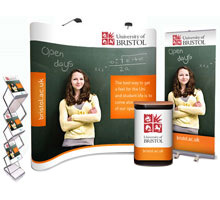 Everything you need to make a winning first impression! 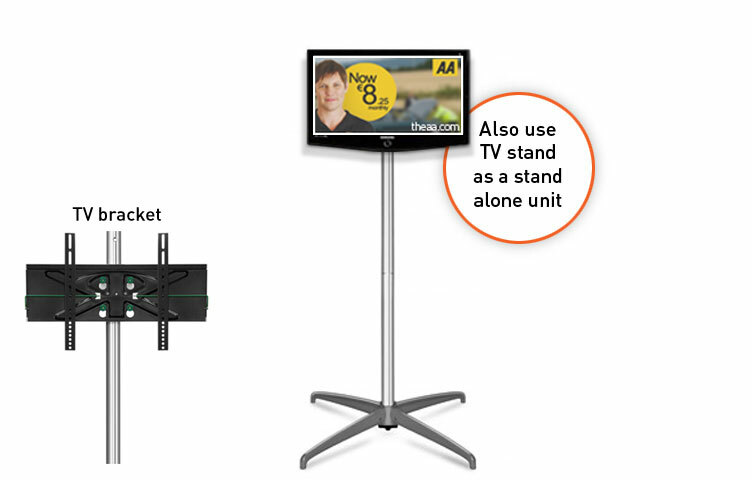 01 x Large TV stand displaying screens from 32" to 50"
The bracket supplied with our TV stand is modified to the universal VESA standard and refers to the distance in millimetres between the mounting holes on the rear of your flat screen TV. 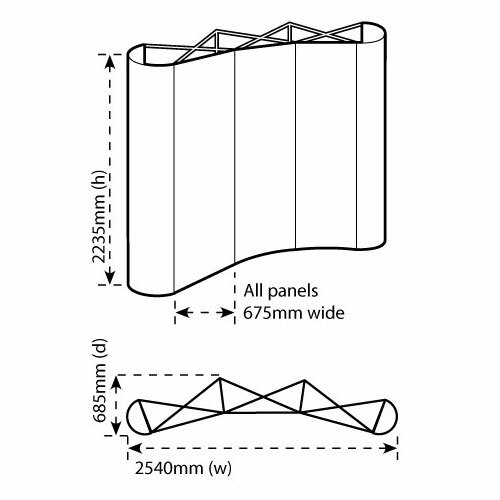 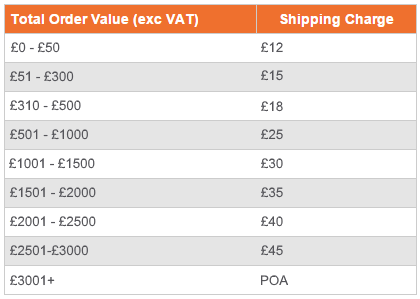 Our TV stand supports the VESA sizes of 200 x 100 up to 400 x 600. 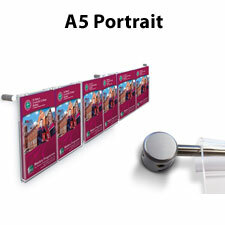 Inc. TV mount for screens up to 22"